Species of quail, no matter how different they are, share characteristics in common. They are mostly amiable birds, except when they get agitated or are captured and transported. Those who have been bred their entire life settle in pens, cages, and coops where they propagate all summer long. Quail are commonly praised for their melodious call and song. Males have the distinct voice and appearance, with the females bearing a similar but lighter shade. Their sound, color, and habitat are practically their distinguishing marks. Scientifically named Coturnix coturnix, the common quail first originated from the migratory quail birds of the Asian, African, and European continents which reached America. These species interbred naturally and were cross-bred artificially giving rise to the many subspecies and mutations we now have today. The Japanese quail, or Coturnix coturnix japonica, was brought to Japan originally from 11th-century China. During the 12th century, it was bred and domesticated as part of the meat and egg industry in Japan. Coturnix quail are characterized by the yellowish color with brown stripes on its body and rust-colored feathers on its throat. The male Coturnix has a distinct crow, which sounds like its name. The female is similarly-colored but is slightly plumper. Eggs of the common quail have that familiar white and brown speckled look. The Red-throat quail, King quail, Pharaoh’s quail, and Eastern or Asiatic quail subspecies are closely related to the common quail. The Button quail, or Coturnix chinensis, which originated from the wild Chinese Painted quail of ancient China is a charmingly small and colorful bird with a red belly or back. These quail are easy to breed and quite adaptable to housing, but they’re a little bit more sensitive to colder, outdoor climate due to their tropical origin. The Chinese Blue-breasted quail is another variety which arose from the red ones. These quail don’t perch, so their feed and water cups have to be low. Their feet are small and delicate, which makes ground habitat healthier for them compared to being on the wire cages. A favorite breed among the quail game birds is the Bobwhite quail which are specifically raised in good-stock game farms. There is widespread breeding and production of this fast-flying bird for hunting and gaming. Males are colored brown with white throats and eye lines, while females are similar but lighter-colored. Its cheerful call is also a source of delight for keepers and a signal of the coming rains for farmers. The most common-kept and viewed Eastern Bobwhite, or Colinus virginanus, would be a good breed for any beginner to start with. Among its varieties are the Tennessee Red Bobwhites, Tuxedo Bobwhites, and other Bobwhites aptly named White, Silver, and Blond. In Southwest America, the Masked Bobwhite is now an endangered species. 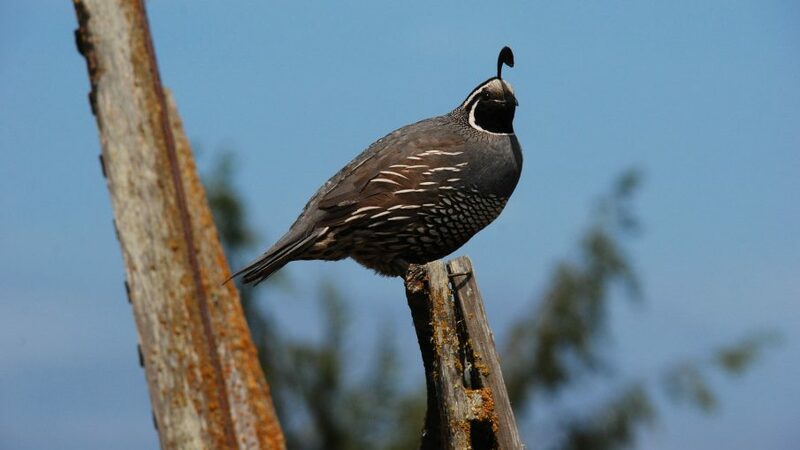 A close relation would be the state bird of California, the Valley quail or Catalina quail. With the trademarks which distinguish each of these species, imagine how wonderful it would be to have them all in your aviary. Be careful, though, to introduce new quails mostly during winter when warmth, not species difference, would be the main concern among quails as they covey and huddle for comfort.